Bishop McCort Catholic High School took the top spot in the Super Varsity DII Division! The team will be headed back to Johnstown, Pennsylvania with a back-to-back title and their white satin jackets. This year Bishop McCort Catholic High School made history and went back-to-back for the very first time. Coach Walker couldn’t be more proud of his team after the performance they put on in Finals! “The goal for this weekend was to represent our school and ourselves as best as we could and to hit a perfect routine.” Said Coach Walker. 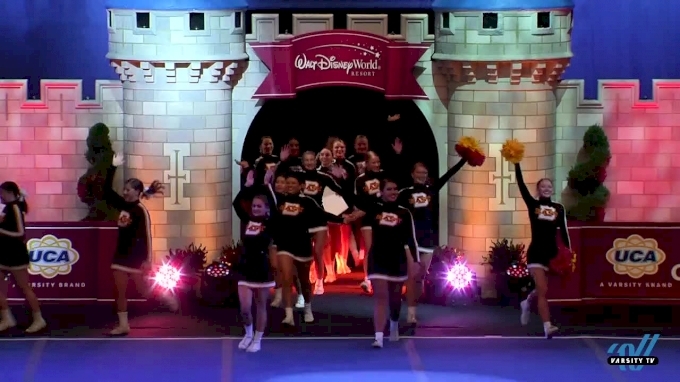 The crowd went crazy when the team took the floor and they were even more excited after watching Bishop McCort Christian perform the routine that secured them the top spot! Behind Bishop McCort Catholic was Bullitt East High School in second, followed by Liberty Christian High School in third. Take a look at the other Top 3 teams announced at the 2019 UCA National High School Cheerleading Championship! Tune in to Varsity TV to watch the remaining divisions take the mat this weekend at the 2019 UCA National High School Cheerleading Championship!